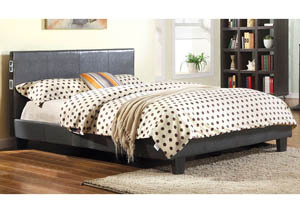 Rest easy with modern platform leatherette upholstered bed. Our great looking, simple, no frills upholstered bed with classic Parson's style headboard with Bluetooth equipped makes for a nice space to lean up against. 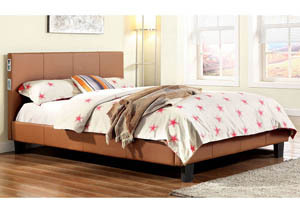 A trend-proof look that is always easy to personalize and update with a change of bed sheets and decorative pillows.